Each dog breed has a set of special characteristics which developed throughout their long history of being humans' best friends. Some dogs require a lot of exercise each day, other prefer to stay indoors and nap. It is important to know more about them so that our lovely pets can have the best possible care. Dogs' sense of smell is 10,000 times stronger than humans'. Their noses are their fingerprints – every dog's nose print is one of a kind. Just because their hair does not get wet in the summer, it does not mean dogs do not sweat – they do it through the pads on their feet. On average, a dog can recognize around 150 different words. 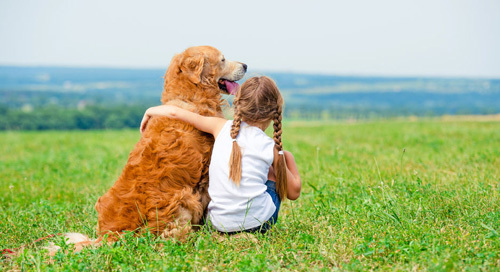 Many facts point out to the special bond between humans and dogs. For example, most people in the US sign their dog's name on their Christmas cards. Studies also show that, like people, dogs, too, can get jealous when they see their favorite human showing affection towards someone else. Dogs help humans so much. A German shepherd led his blind owner through the Appalachian Trail (a hiking trail in the Eastern United States), making him the first blind man to complete this 2,100 (3,380km)-mile hike. Other dogs are especially trained to help people with diabetes. They can give their owners a signal when they smell that the human's blood sugar level has dropped. These small dogs are believed to originate from the Mediterranean island of Malta. 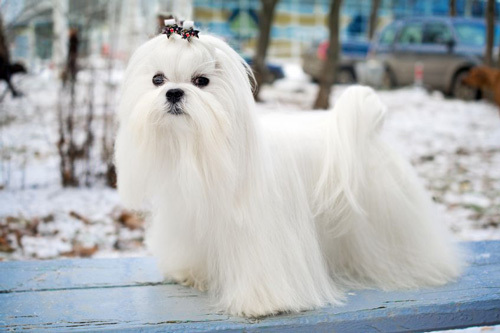 In English, the Maltese has also been known as the "Roman Ladies' Dog", because of its size and long hair. Their silky white hair should be groomed regularly. It can fall all the way to the floor or be kept shorter. The Maltese is not just pretty, but also very intelligent. They are perfect for people living in smaller apartments. Since these dogs have had human friends for many years, they require a lot of attention. They can become very anxious when separated from their humans – even if it is just for a few hours. What's more, their stomachs are very sensitive, so they can be picky eaters. 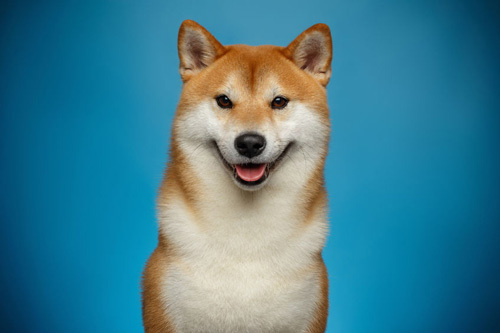 In Japanese, inu means "dog", while shiba can be translated as "brushwood" (a tree with red leaves) or "small". These words perfectly describe this dog, which has beautiful orange and red hair, and looks like a wolf, but it is much smaller. Shiba Inu is used to working in mountainous areas and is a very good hunter. They were originally bred to hunt birds and even wild pigs, so today they remain very athletic. They move quickly and prefer to be active all day. These lovely dogs are a bit selfish, as they like to guard their belongings, such as toys and food. Yet, if people treat them with respect, they will be completely loyal and loving. Born to be hunters, they will use every opportunity to chase smaller animals – even cats! Originating from the now extinct English white terrier, Jack Russel was named after John Russell, a priest who bred them to hunt foxes. There are several breeds named after this man, whose nickname was Jack, all of them being small with white and brown bodies. 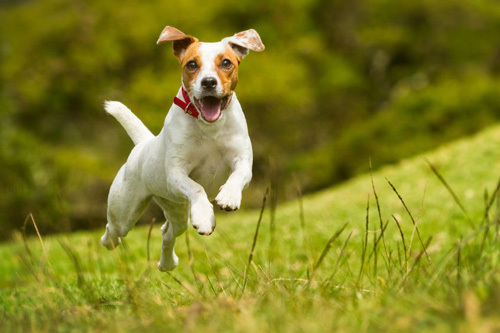 Jack Russell terriers have a very specific temper – they are one of the liveliest and most active dog breeds, which is why they are normally recommended to more experienced dog owners who can train them properly. Because they are fearless, very energetic and small enough to be portable, these dogs are favorite among animal trainers who frequently use them in movies and on television. These giant dogs can weigh up to 260 pounds (120 kg), yet they are very friendly and loving. 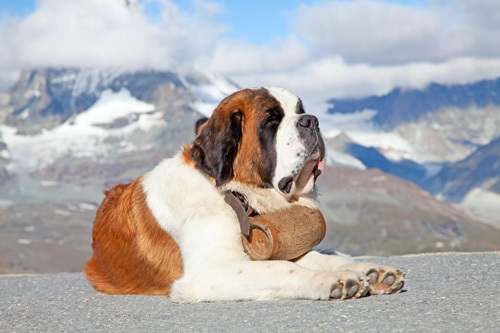 Coming from the western Alps in Switzerland and Italy, Saint Bernards were bred to be working dogs in the mountains. Very quickly, they became famous for rescuing many people from avalanches, rapidly falling snow and ice. They were named after two hospitals located on the Great and Little Saint Bernard Passes in the Alps. Saint Bernard dogs require daily walks, but not excess training. Although big, they are perfectly happy indoors, and constantly need human companion. Saint Bernard dogs are very friendly to children and good to have around the house, although they can sometimes accidentally knock something over with their heavy tails. 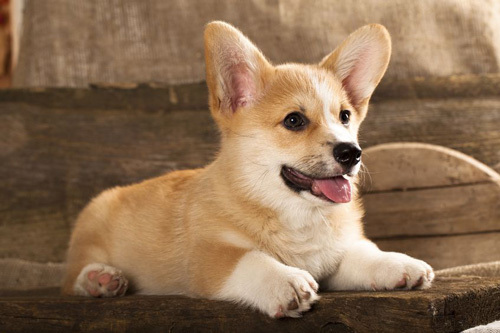 In Welsh, corgi means "dwarf dog", a good name for this short but long dog with funny ears. Despite their relatively small size, corgis have historically been use to herd cattle. Nowadays, there are two kinds of Welsh corgis – the Pembroke and the Cardigan. Even though they look very similar at first glance, the biggest difference is that the Cardigan has a longer tail. Corgis require a lot of exercise to be healthy, especially since they are prone to overeating, which can cause serious health problems. They also love to bark – at anything and anyone! Queen Elizabeth II, the reigning monarch of the United Kingdom, has owned more than 30 corgis. Historically, corgis used to __________ cattle. Saint Bernard dogs have __________ many people from avalanches. Only more __________ dog owners should get the Jack Russell terrier. Saint Bernard can accidentally knock something __________ with its big tail. The Maltese can be very __________ eaters. Dogs dislike when their owners __________ affection to someone else. Each dog's nose print is one of a __________. The Maltese's long hair should be __________ regularly. 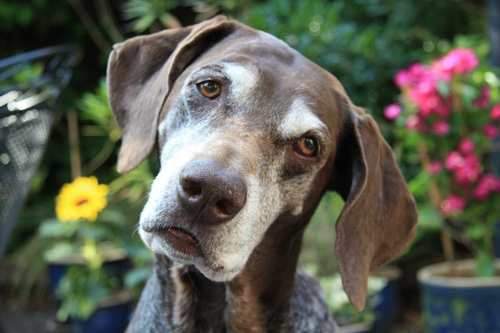 Dogs can feel when a human's blood sugar __________ has dropped. Shiba Inu dogs usually guard their __________. How can you tell the Cardigan and the Pembroke apart? Where do Saint Bernard dogs work as rescue dogs? Why should not the Maltese be left alone? Which breed is the animal trainers' favorite? John Russell created several new breeds of hunting dogs. John Russell bred Jack Russell terriers to herd cattle. Corgis should be monitored because they can eat too much. Corgis should be monitored because they often eat too little. "The Shiba Inu would never chase a cat." "It is impossible for two dogs to have the same nose print."